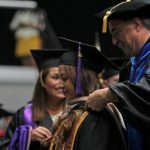 Tarleton State University claims that retention rates for students who are in college for the first time continue to climb, with an 89.05 percent retention rate. However, according to U.S. News and Report college rankings, Tarleton’s overall retention rate falls below the national average. Dr. Jennifer Edwards, assistant vice president for Student Success and Multicultural Initiatives, said the retention rate is affected by academic performance, financial concern and social engagement. “I’ve conducted research for the past 10 years on retention and graduation rates from a student’s standpoint and they continue to focus on these factors,” she said. Edwards said the university recently was selected to join the other 43 institutions that are part of the American Association of State Colleges and University’s Re-Imagining the First Year Experience project. Some of the data included are graduation rates and number of students who make a D or F or withdraw from a course. Edwards added that these programs will be effective because the Student Success and Multicultural Initiatives is focused on retention-focused programs and services. She provided an infographic explaining that 13,062 students from Tarleton attended Academic Advising from May 12, 2015, to July 2015, with a satisfaction rate of 3.93 out of a 4.0 scale. The programs that Tarleton joined demonstrates support and commitment from the university, Edwards said. Both groups — RFY@Tarleton and the EAB Student Success Collaborative — meet each week to discuss student retention. “The RFY@Tarleton is a large initiative focused on institution intentionality, which involves students, faculty, staff and the university curriculum,” Edwards said. She also provided a graph of the percentage of graduates each academic year who began their college year at Tarleton since year 2009. The graph indicated that in 2013-2014 academic year, the percentage of graduates was at its lowest of 29.91 percent, while the 2014-2015 academic year was at it is highest of 31.95 percent. Chanel Nwankwo, a junior public health major at Tarleton, said she is aware of this retention issue because some of her friends have left Tarleton. Nwanko mentioned that Tarleton is not for everyone, but she recommends the university for those who like the small-town feel. 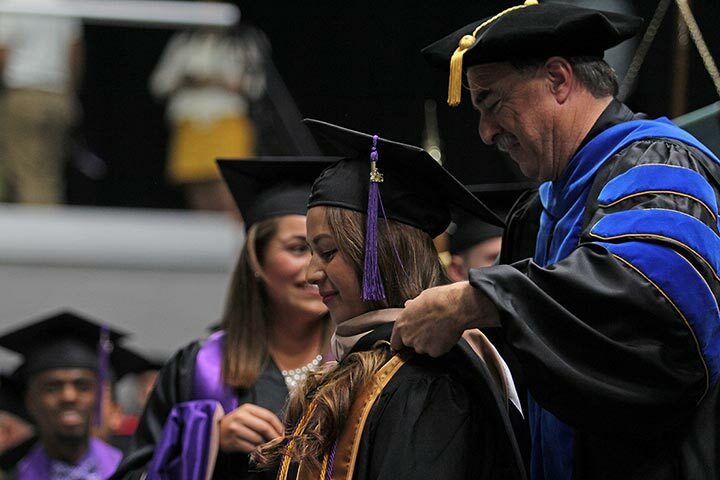 She said her experience at Tarleton has had its ups and downs, but there is one thing that has kept her from leaving. “So many people are so friendly. Most of my best friends are here and the faculty is extremely friendly,” she said. As with Nwanko, her experience at Tarleton has also had its ups and downs but she said she is glad to be here and mentioned some of the perks of Tarleton offers.